Works With Any Filtered Tube On The Market! 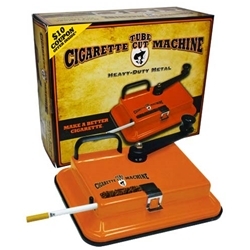 Materials: Heavy Duty Metal, No-Slip Mat Bottom, Superior Built-In Grip, Smooth Handle Operation, Owner’s Manual. Note: “This Machine Is For Tobacco Use Only”.